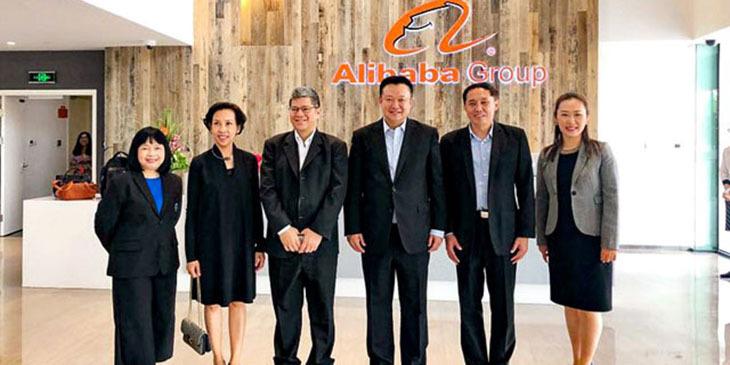 The Tourism Authority of Thailand (TAT) has formed a strategic partnership with Alibaba’s online travel subsidiary Fliggy.com, following last week’s conference between TAT and Fliggy Holiday at Alibaba’s headquarters in Hangzhou, China. The development followed the meeting between Thai prime minister Prayut Chan-o-cha and Alibaba Group founder and executive chairman Jack Ma in Thailand earlier this year in April, which concluded with a possibility for TAT to team up with Alibaba to establish an online Thailand tourism platform. Yuthasak Supasorn, TAT governor, said the meeting in Hangzhou confirmed the partnership between the TAT and Fliggy Holiday, with discussion covering various dimensions aimed at improving Chinese tourists’ quality travel experience in Thailand and promoting emerging secondary Thai tourist destinations. The partnership will allow TAT to enhance the awareness of major Thai destinations including Bangkok, Phuket and Chiang Mai, and also to promote emerging secondary cities such as, Chiang Rai, Satun, Hat Yai, Ratchaburi, Buri Ram and Chanthaburi. Besides taking the lead in promoting new itineraries to Thailand, Fliggy also plans to launch its first title-sponsored event in Thailand, the New-year Electronic Music Festival in Pattaya, which will target young millennial Chinese tourists. TAT will also assist Fliggy in ensuring a seamless travel experience for Alibaba members including fast-track immigration services and dedicated shuttle bus routes between the airport and accommodation. For Phuket in particular, a masterplan for marine safety has been formalised. This includes a Marine Surveillance and Assistance Centre for disaster prevention and mitigation, while an emergency weather alert system has also been ramped up. In addition, authorities have stepped up security measures at Phuket International Airport. TAT and Fliggy also discussed cooperation to enhance tourist safety. TAT will provide support for a bilingual real-time notification system to be operated by Fliggy. The system will not only communicate with Chinese travellers on immediate safety concerns, but also educate them on potential problems throughout the year to avoid unnecessary risks when travelling in Thailand. This will help ensure tourists’ safety at any destination across the kingdom. Copyright © 2019 Niezwykła Tajlandia All Rights Reserved.